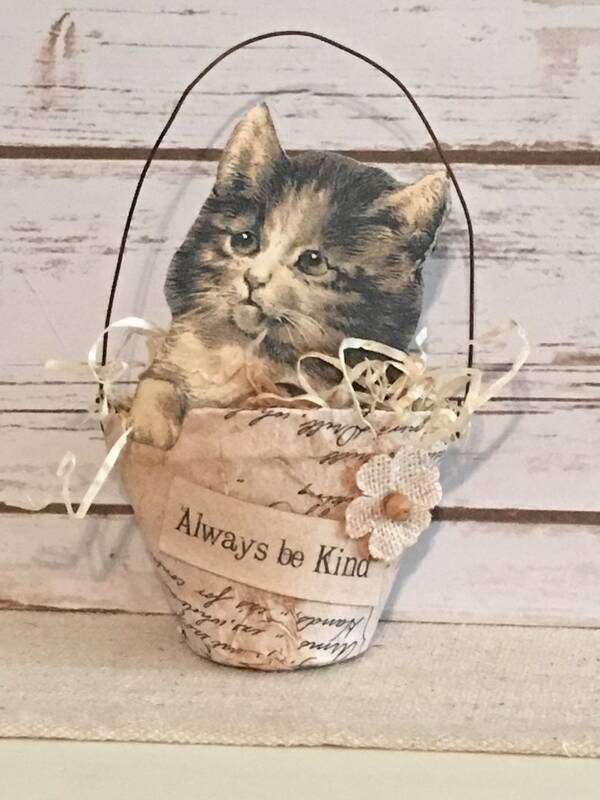 A cute little paper basket with a sweet little kitten! The basket is filled with natural excelsior moss and a primitive paper kitten. The outside of the basket is covered in aged paper...very primitive. approx. 9" x 4 1/2"
The basket can sit or hang from a knob or peg. One made and ready to ship! Handcrafted by Daisy Patch Primitives...pattern by "Cinnamon Creek Folkart".